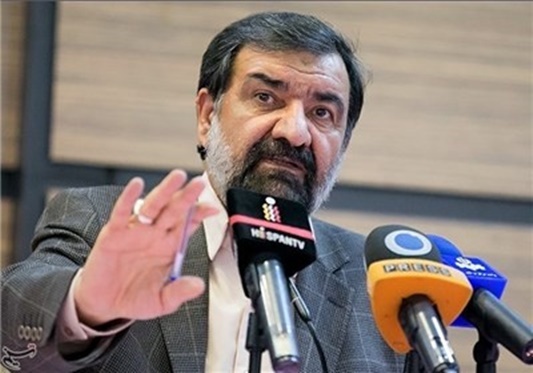 Secretary of Iran’s Expediency Council Mohsen Rezaei said British Prime Minister Theresa May’s recent remarks against the Islamic Republic are part of a policy to dominate regional countries and evade Britain’s economic and identity crises. “The British government is suffering an economic crisis and they resort to whatever means to get out of the crisis,” Rezaei told reporters on Sunday on the sidelines of Tehran Security conference. “In addition to the economic crisis, the identity crisis is among the problems facing Britons,” the Iranian official added. The British have come to the Persian Gul region to replace the US and resolve their economic and identity crises, Rezaei said. Iran believes that “meddlesome” remarks by the British premier are part of the policy to evade the crises, he went on to say. In a recent summit of the (Persian) Gulf Cooperation Council (PGCC) in Bahrain, May said that Britain would contribute to counteracting what she called “aggressive regional actions” from Iran, and unveiled plans for a four-billion-dollar military investment in the region for the next 10 years. In response, Foreign Ministry Spokesman Bahram Qassemi emphasized on the same day that states whose own irresponsible interference has spread insecurity, violence and extremism are in no position to accuse others of interfering in the Middle East affairs. Slamming London’s “futile and unconstructive” policy of resorting to divisive measures to return to the region, Qassemi said the British premier, whose country’s interests have been at stake following evolution in ties with the EU, has made the anti-Iran comments at a PGCC meeting just to appease some Arab leaders. These stances seem to be part of British attempts to clinch new deals with the Persian Gulf Arab states to sell them arms, which will eventually aggravate the crises and war crimes against people in Yemen, Syria, Bahrain, Iraq and other regional Muslim nations, he added.